We are currently using a two-pronged approach to accomplish the mission of Heritage Development Initiative. They are the Skills Acquisition approach and the REACT approach. 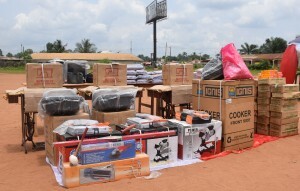 In this initiative, HDI help impoverished youths and widows achieve self-reliance through an all-expense paid skills acquisition training, in a craft we believe will have an economic value. After we receive certification from their trainers that they are ready to be on their own, which typically takes a minimum of one year, we empower them with the tools they require for their trade. The certificates and tools presentation are done during our annual empowerment ceremony. The youths must have finished, at least, their secondary school education to be eligible for this programme. We have observed that majority of the less privileged youths often come from households that have lost the breadwinner, which is typically the man. This leaves the widow often struggling to take care of the family, even to the extent of not having enough to eat. This is the reason for creating this event. On this day, we celebrate the widows by providing them with food materials, including bags of rice, salt, cartons of tomato paste, etc. 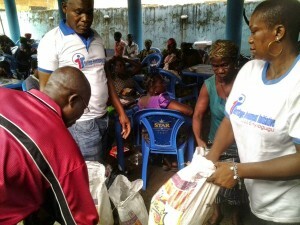 More than 80 widows were provided with food stuffs, including bags of rice, salt, and tomato paste. We identify the top primary and secondary school students in their respective schools and present them with scholastic materials. We also administer an inter-secondary school reasoning abilities competition, known as REACT, where we identify the gifted students and present them with prizes, including cash and scholastic materials. In addition to the prizes, we make a commitment to give scholarship to those students that consistently perform well in the REACT, for their university education. This is our 4th year of organizing this competition, which gives us the opportunity to find those kids that are gifted, who may otherwise not get opportunity to showcase it due to several reasons, including residing in the rural areas and financial reasons. As the initiative continue to gain traction, so are we getting new entrants into the competition and, thereby, identifying the bright ones among them. The teachers and the principals continue to give us their selfless support. To appreciate their support over the years, we recognized some of them with cash awards during this year’s prizing giving day. 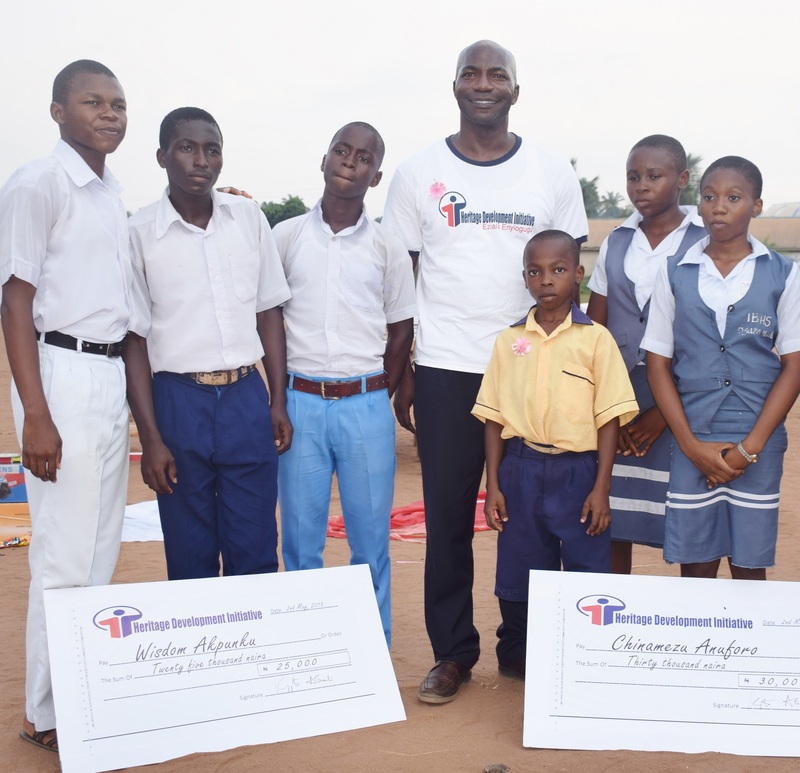 Encouraged by the success of our first Reasoning Abilities Competition (REACT) piloted in the Aboh Mbaise area secondary schools last year, we expanded this year’s competition to include all secondary schools in the Mbaise region. We are happy to announce that it was a resounding success. Our gratitude to the teachers and principals for their collaboration in making this year’s REACT a hitch free one. 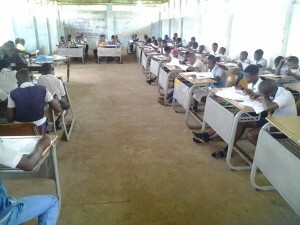 Let us not forget the students that participated in the competition, especially those that made it into the second round. Their resilience and perseverance should be applauded. 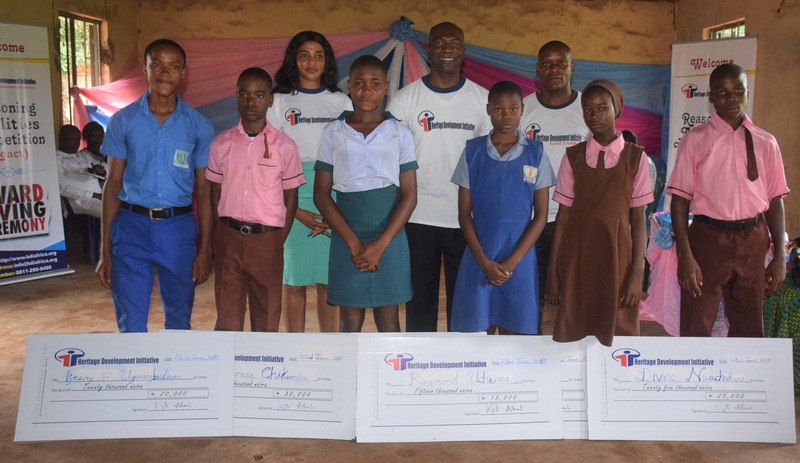 To show our appreciation for their efforts, cash awards ranging from ₦15,000 to ₦30,000 were presented to the top six students. 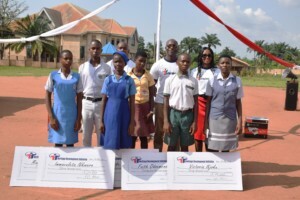 Other prizes were given to the runner-up students, while recognition plaques and customized wall clocks were issued to the schools of the top six students. 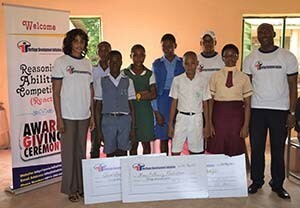 Cash awards ranging from ₦15,000 to ₦30,000, in addition to scholastic materials, were presented to the top six students. 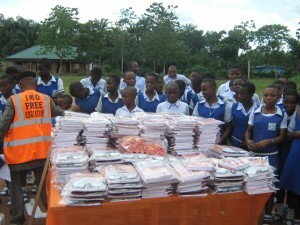 Scholastic materials were also given to the top 14 runners-up. Cartons of Blackboard chalk and writing materials were presented to all the schools that participated in the competition.